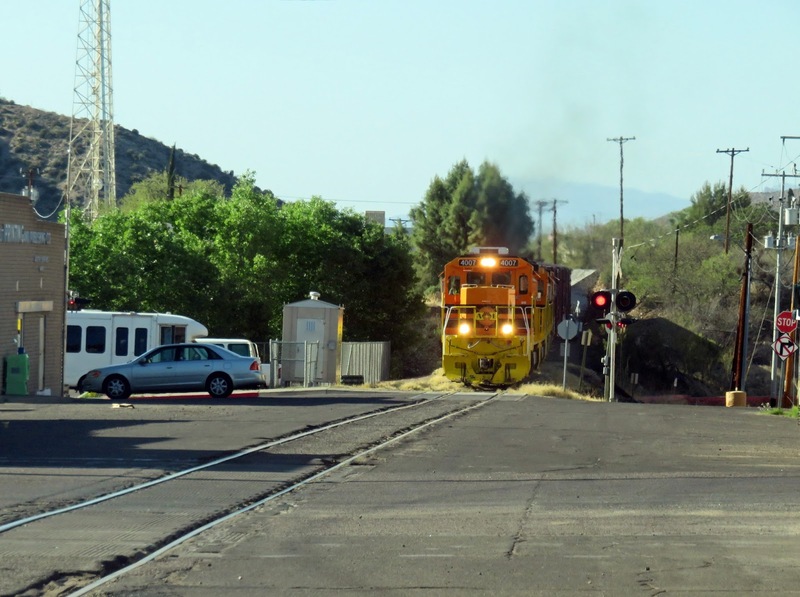 This train comes right through the town, creeping right in front of the police station in Globe, Arizona. Cars able to pass it on either side riding parallel to the train. Even though it's not going fast, it's a bit unsettling to be that close to a moving behemoth.